UWA PEB Dr. Nicolas Taylor, lead author of the study, said more robust varieties of wheat would not only reduce yield losses, it would allow farmers to reclaim land currently too saline for wheat crops. "Previously we knew that salt exposure causes a dramatic loss in wheat yield, but we didn't know exactly what was happening on a molecular level," he said. The bypass system identified by the researchers, called the 'GABA shunt', allows wheat plants to stop using one of their salt-sensitive enzymes when threatened by saline soil. However, the resistance provided by the GABA shunt also appears to have a limit, and is overpowered by especially saline soils. According to Dr. Taylor, studying GABA shunt could lead to advances in the fight against salinity. 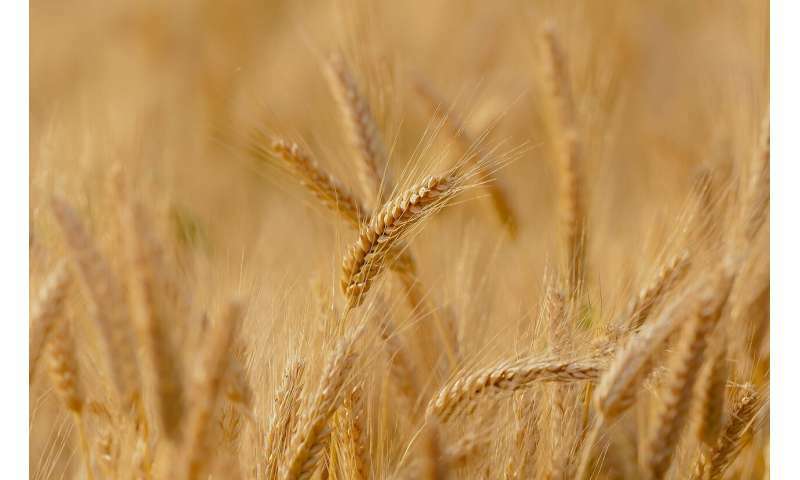 "If we can learn how to control the GABA shunt, its timing and intensity, we may be able to boost the wheat plant's natural resistance to salt, without an impact on yield," he said. "By understanding exactly how salt is damaging wheat plants, we can look for varieties with improved natural salt tolerance and introduce them into breeding programs."